﻿GET SX-7 PEAK FOR FREE WITH PURCHASE OF GAT TESTROL GOLD ES. ADD BOTH PRODUCTS TO CART AND ENTER CODE: "GOLDPEAK"
Testrol Gold ES is GAT’s specialty men’s testosterone booster. This advanced formula naturally supports male performance, endurance, strength and testosterone, with the added benefit of hormone regulators. 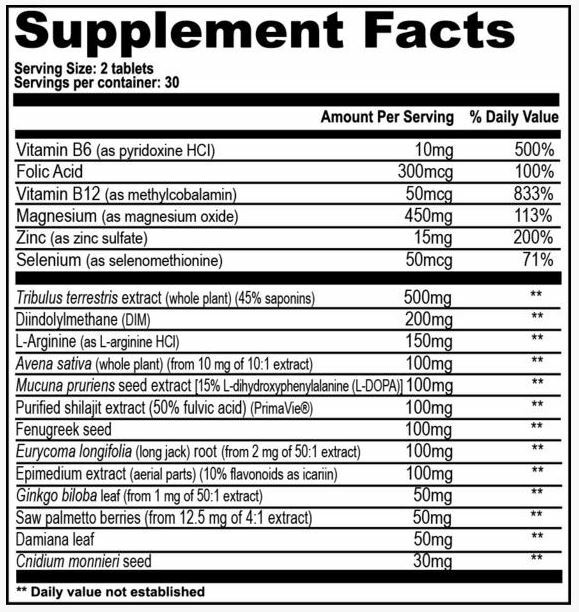 Contains DIM, short for 3,3’– diindolylmethane, a compound from indole-3-carbinol (I3C), a phytonutrient that offers estrogen balance support for men. DIM supports the activity of specific enzymes that support normal estrogen ratios that optimizes testosterone hormone levels. Added testosterone boosting: PrimaVie®, a high quality, clinically proven, shilajit mineral deposit from the Himalayas. Studied to increase total testosterone, free testosterone and DHEA. May help stimulate the body’s own production of free testosterone.